A 30th birthday is a fun time for family & friends to enjoy each others company and give fun, personalized birthday gifts to their favorite 30 year old. 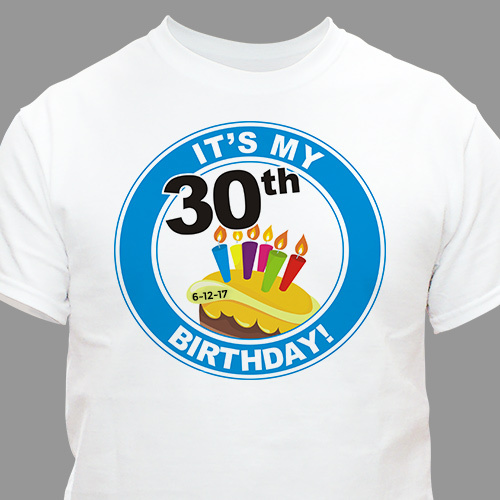 Our 30th Birthday Personalized T-Shirts are a cool personalized gift that always looks great. 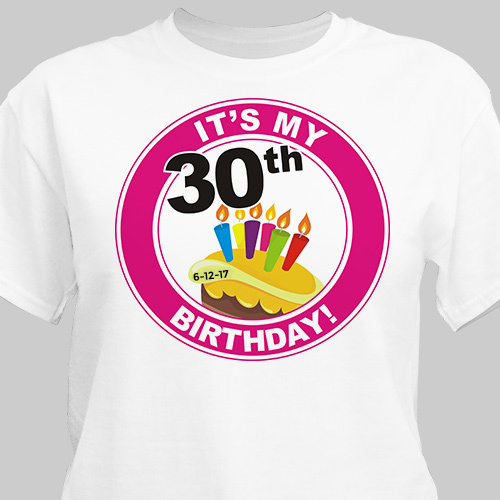 Our 30th Birthday Personalized Shirt is available on our premium 100% cotton Personalized T-Shirt, machine washable in adult sizes S-3XL and in youth sizes XS-L. Personalize your It's My Birthday - 16th Birthday T-Shirt with any age and any birth date. Please choose pink or blue design. Shirt was nice. It would have been great to be able to put his name on it. GiftsForYouNow.com offers a large assortment of Personalized 30th Birthday Gifts. We have Personalized 30th Birthday Frames, Personalized 30th Birthday Shirts & 30th Birthday Keepsakes. Our Personalized Birthday Frames are great to give to close friends & family.